As a small business owner or manager, you MUST be engaging with your customers online. If you care about growing your business, and differentiating yourself from your competitors, then you’d better make time for social media. It’s where your customers are, and they expect you to interact with them. 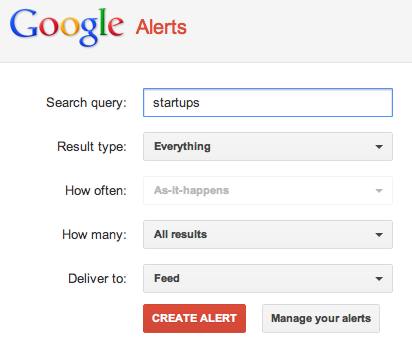 #1: Set up Google Alerts: This is very easy and can be done in a under a minute. Examples of keywords you should set-up alerts for include: your company name, your competitors, your name, and industry keywords. When those keywords are used on the Internt, you’ll receive an email alerting you, and you can chose to engage or not to engage. In the example to the left, I’ve chosen to set-up an alert for the word “startup” – this way, I can track the use of this word online. If you want to track something like “business plan” you must use the quotations around the word or you’ll receive alerts for every time the word “business” or “plan” is used. You can chose to have the alerts sent to your email or to an RSS feed if you use one. 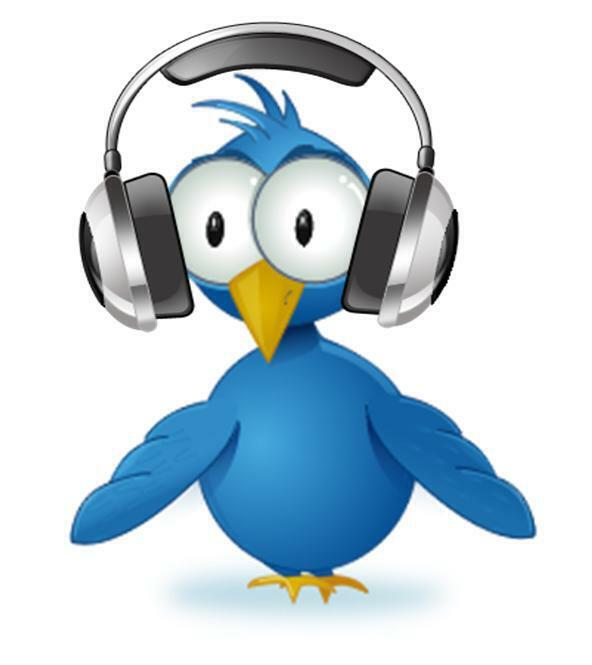 #2: Set up Twitter Alerts: It seems every day there’s a new tool for “listening” on Twitter, but the easiest one I’ve found is using Twilert. Again – these can be set up in under a minute. You can track keywords, Twitter accounts (by using the @ followed by the account name), or hashtags (by using the # followed by the term). 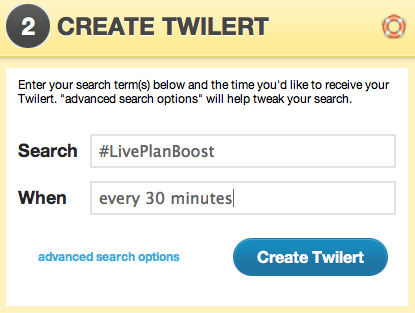 The example to the left shows that I’m tracking the hashtag #LivePlanBoost because we’re using this hashtag to track our LivePlan $10,000 Boost business plan competition.